Referencing other tracks that you want your mix to sound like is nothing new – in fact it’s encouraged, especially at the mastering stage. But it can often be an arduous process, loading a reference track into your DAW, muting and unmuting the relevant tracks as you A/B between the two. Sample Magic’s painfully simple plugin Magic AB is designed to streamline the process, allowing users to load up to nine reference tracks at once, and quickly A/B between the source and the final goal. Cleverly, Magic AB also bypasses your mix buss plug-ins so that only your mix reference is processed with the reference file remaining clean as a whistle. You can also set up loops of certain sections if you’re only interested in the chorus, or the breakdown, for example. A pretty vital plugin for anyone who’s mixing for certain environments like live venues, cinema or the club. Referencing tracks that you know sound good in those spaces is going to give you a huge head start. Whether we like it or not, it won’t be long before AI makes its way into our studios. In fact, it’s already started to appear inside certain plugins but how long until AI does the work for us, using reference material to craft a sonic picture and apply that picture to our mix without us lifting a finger? We’re not quite there yet, but LEVELS from Mastering the Mix is designed as a simple graphical representation of any signal being fed into it with one important difference – it intervenes when it ‘thinks’ you’re going too far. Using four categories – headroom, stereo field, dynamic range and bass space – LEVELS measures the incoming signal and by sticking to industry standards and best mix practice, alerts the user when their signal (ideally the mix buss) is exceeding certain levels. For example, exceed -6dB and the headroom icon will glow red or add too much stereo width that could cause phase issues and the stereo icon glows. It’s not exactly stepping in and doing the work for you, but it’s enough to help those who may be new to production understand when enough is enough. 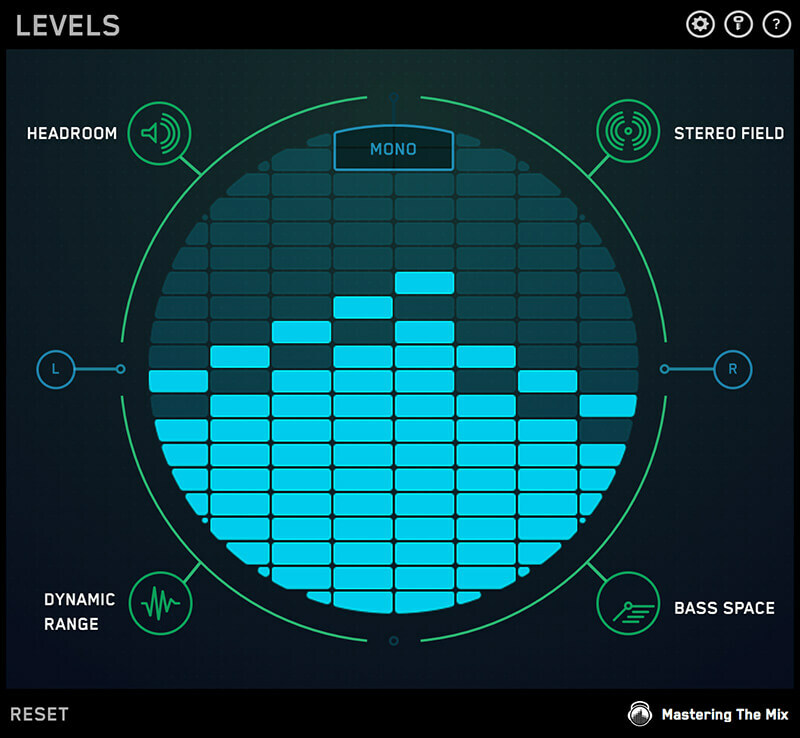 Visualisation tools are great when you know what you’re looking at, so LEVELS is a welcome addition for less experienced producers or those who are working in a less than ideal listening environment. It’s not quite AI but we expect more of these types of tools in the near future. 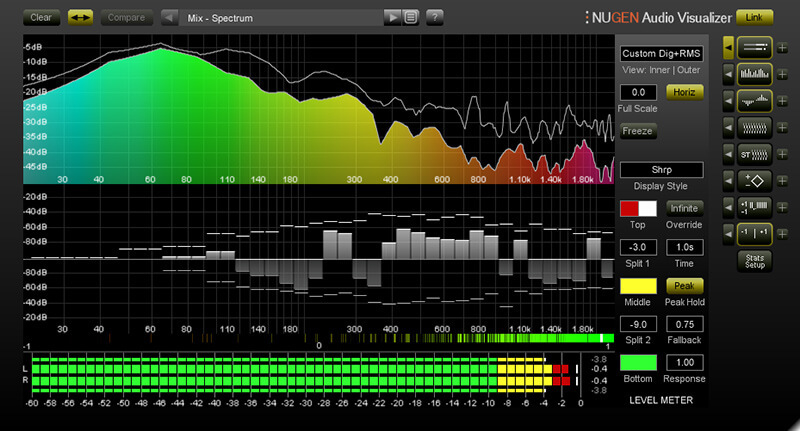 What does constitute AI though is iZotope’s revolutionary plugin Neutron, now in its second incarnation. 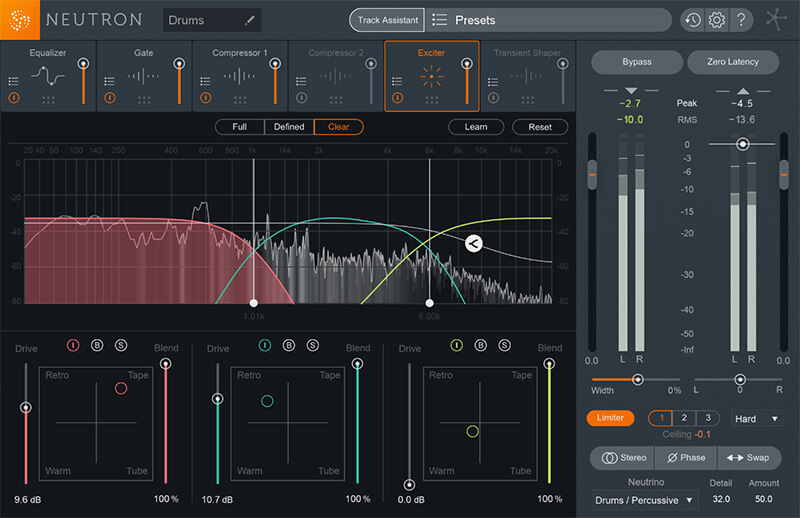 Combining their already solid reputation for high-quality plugins with a forward-thinking and revolutionary series of analysis tools, Neutron can identify which elements of your mix may be causing you problems. 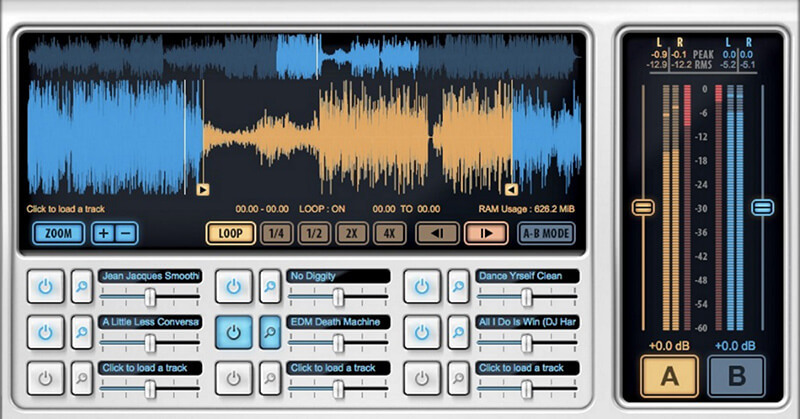 Its innovative Masking Meter highlights frequency ranges where your mix may encounter issues, especially suitable for bassline and kick drum clashes. Multiple instances of Neutron can even talk to each other, so you can decide which parts of the mix you want to compare. For the more experimental among you, their Track Assistant ‘listens’ to the incoming signal and automatically creates an EQ curve and other settings based on pre-determined rules like Style and Intensity. Whether or not your comfortable with AI assisting you in your mixing is up to you, but the results we’ve experienced with Neutron are fairly impressive and as with all new technology, it’s unlikely to go away any time soon. 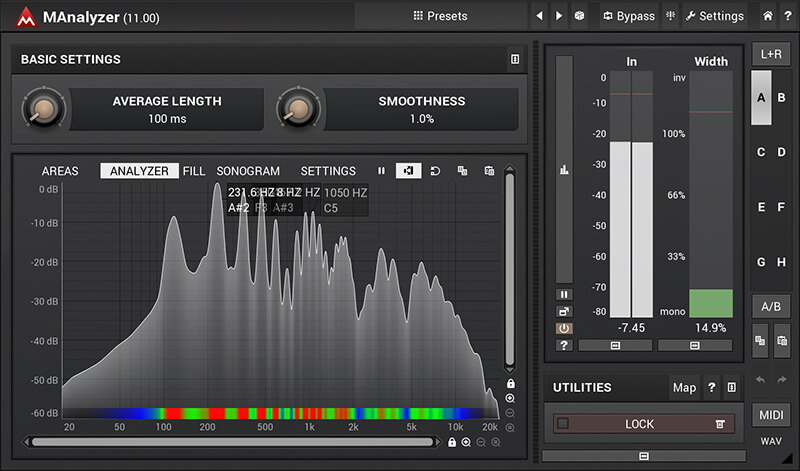 For something a bit more traditional, iZotope’s INSIGHT is another great option, minus the digital assistant. NUGEN’s Visualizer plugin may not have the bells and whistles of AI assistance, but its as comprehensive as analysis plugins go. Featuring a smart single-window interface, it combines a total of nine analysis types including a vector scope, FFT spectrum analysis, stereo bias meter, a stereo spectrogram and of course a standard LUFS volume meter. Every aspect of Visualizer is customisable down to the finest detail and all nine meters can be viewed at once, or select just the elements you need to see for each signal. Presets allow users to quickly recall setups for mastering, mixing, post-production or any other studio scenario. If you’re just looking for some straight up, accurate analysis of your audio signals you’d be hard pressed to find anything better. Learning to play a song by ear is an invaluable skill that takes years and years of practice to perfect. The ability to slow down any piece of audio and retain its pitch in any modern DAW is a huge help, but what if you could also be shown the notes that are being played in real time? 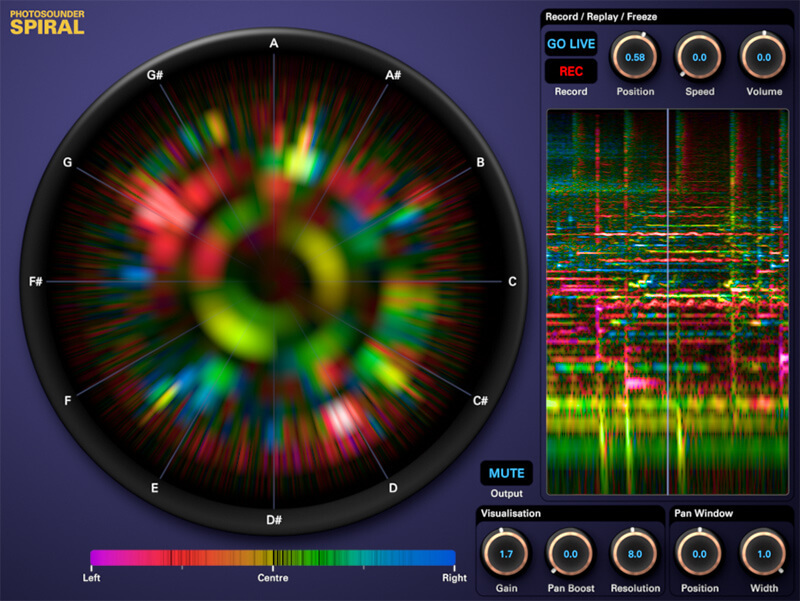 Photosounder’s Sprial is a unique plugin that uses a circular metering tool to identify what notes are being played into the plug. Using brighter colours and stereo separation, it splits the notes and instruments so it’s clear what sound is playing what notes by lighting up the metering nearer each note. You can use the controls to highlight just one instrument or you can even ‘record’ the input signal’s information and play it back at a slower rate, perfect for learning different parts in a song. It’s also really useful for quickly figuring out what key a song is in, without any offline analysis needed. Its circular interface can take a while to get your head around but once you do it’s an invaluable tool for musicians and producers. Melda’s collection of plugins is impressive, even more so when you consider that most of them are free! Even though it’s worth downloading them all, their MAnalyzer tool is particularly impressive regardless of price point. Featuring an advanced spectrum analyser and sonogram, here are tones of features to customise the style and response of the curves. So many parameters to adapt and affect your analysis in fact, that Melda offer up to eight variations of settings that can be quickly A/B’d with the A-H buttons. These buttons can also be assigned to any MIDI controller for quick referencing. MAnalyzer can also take a look at your mid and side channels separately, giving you accurate representation of what’s happening across the stereo spectrum, which can also be quickly A/B’d with your stereo signal. There’s a lot to love about MAnalyzer, but the number one thing is the price – grab it for nothing now! 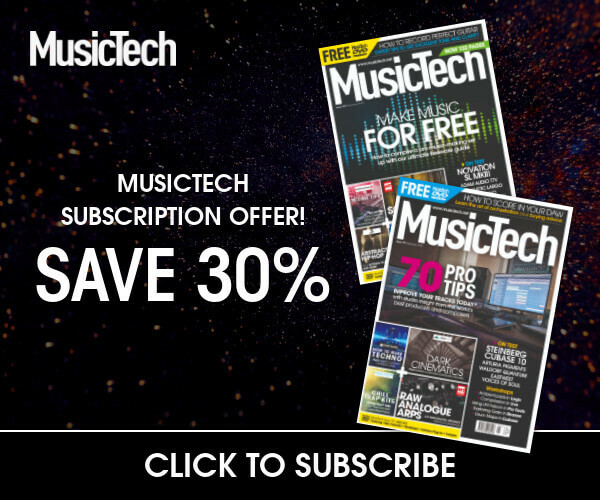 Previous articleADAM Audio T5V Monitors Review – The Perfect Budget Solution?